Because one just isn't enough. Luparez is back on the Super Street Fighter IV: Arcade Edition 2012 grind. See the latest experiments in the lab inside. 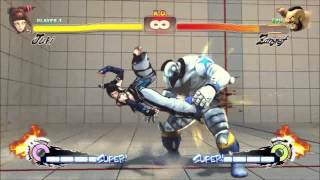 Luparez hasn't ditched Super Street Fighter IV: Arcade Edition 2012. In fact, the fighting game enthusiast may just be warming up for the upcoming update. If you missed the first experiments video, click here.